I want to know where my food has come from. If the food is processed, what are the ingredients and where did they come from? How were they grown/raised? I want to taste natural flavors, not chemicals; naturally ripened tomatoes, not bland, anemic imposters – I don’t want to worry about pesticide or herbicide residues. So, I grow fruit and vegetables following organic methods, and preserve as much as possible. In the first year after moving to Iowa we raised over a hundred tomato plants from seed, all heirloom varieties from Seedsavers Exchange (conveniently located just a couple of miles away). Before long we were supplying Seedsavers with seed. We grew peppers and cucurbits and learned what it felt like to be a peasant – my mother’s comment was, “well it’s in your blood you know!” But I am not a farmer, I’m an artist who makes books. The garlic and basil thrived and I learned the rituals of canning – processing hundreds of pounds of tomatoes and other produce and preserving them in glass jars. This gave me the idea that I could grow all the toppings for pizzas and make and sell them, say, once a week. 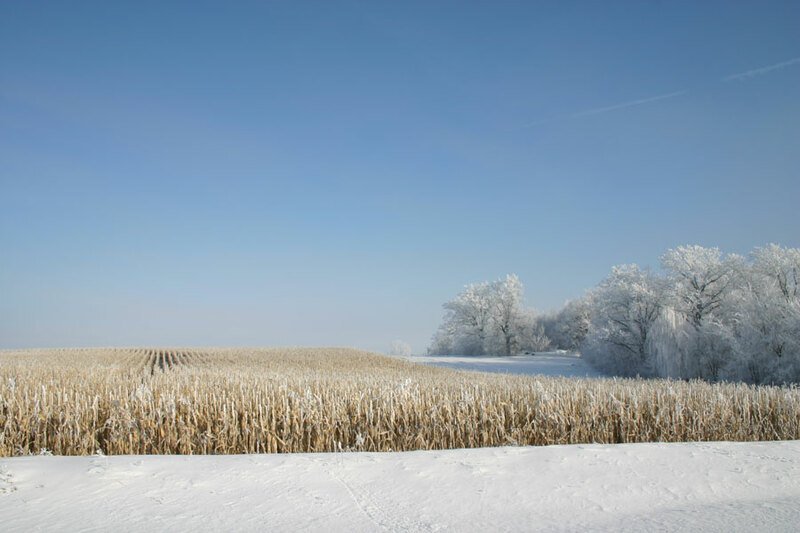 Pizza farms are not uncommon in the Midwest and my main inspiration was Robbie Bannen and Ted Fisher’s AtoZ Bakery in Wisconsin that hosts a now famous "Tuesday Night Pizza" on their farm. 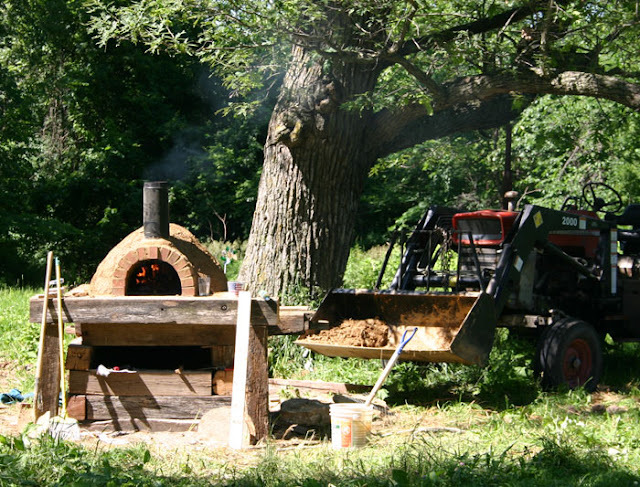 I considered the feasibility of a pizza operation at our farm. In July 2011 I built a wood-fired oven and began making pizzas, little knowing how the project would evolve. 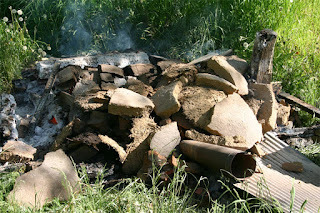 I dug clay from a corner of a field and mixed it with sand to form Adobe bricks; then built a dome-shaped oven on a plinth constructed from heavy oak beams left over from our barn resizing. The hearth was made with reclaimed firebricks from a demolished school. Just days later we hosted a pizza party and cooked over a dozen pizzas – learning “on the job” the art of the pizzaiolo –forming the dough, preparing and applying judicious amounts of toppings and cooking at high temperatures in a wood-fired oven. 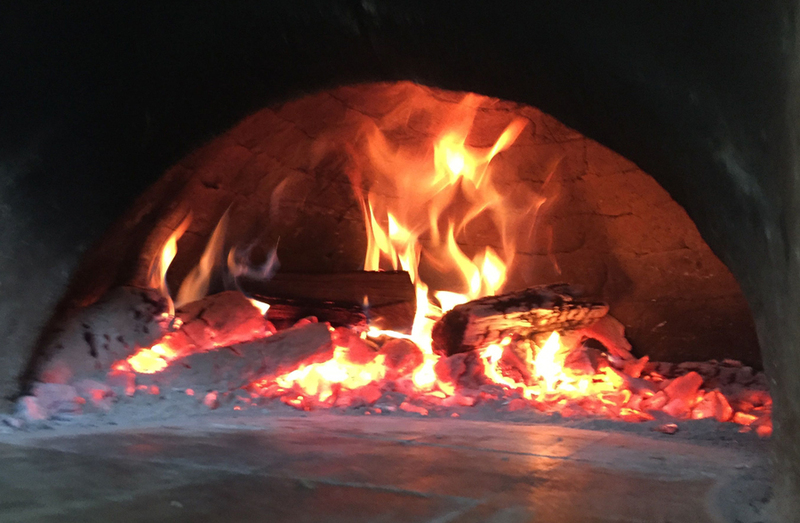 There is something magical about the wood-fired oven: the rolling flames, searing heat and tantalizing aromas are quixotic. If you’ve grown the ingredients, and harvested the tomatoes and basil that afternoon – the flavors will be out of this world. On Saturday, May 12, 2012, the firebrick hearth was unusually hot and I noticed the 8 x 8-inch oak beam at the mouth of the oven was smoldering, again. The pizzas were unremarkable and the base of the crust, burnt. The next morning, our son Tom ran into the kitchen: “the pizza oven has collapsed, it’s burning!” He was right . 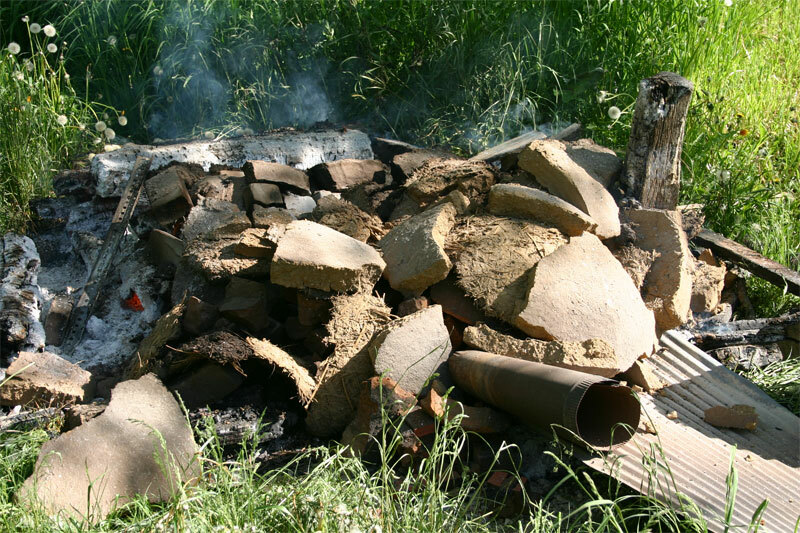 . . my pride and joy was reduced to a heap of white-hot burning oak beams among which lay the hearth of recycled firebricks, topped by sherds of the shattered hard-baked adobe clay dome from which jutted the chimney flanked by the tin roof. Thank goodness I didn’t build it near the house. I was devastated. In May 2014 I burned a field of weeds to clear it ready for planting spring wheat, and dug the foundations for another pizza oven. 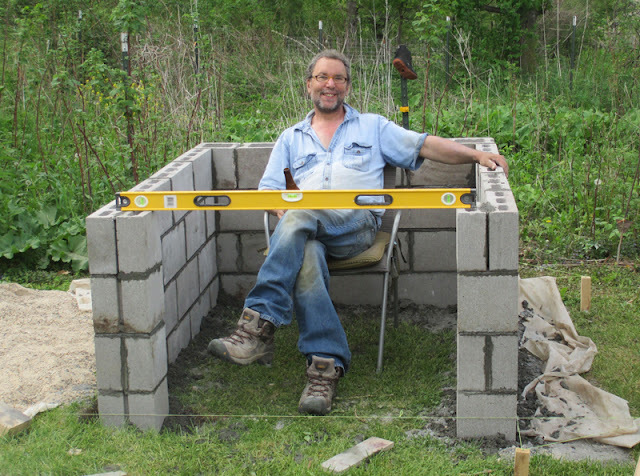 Cement block walls would support a reinforced concrete plinth, an insulated bed of new firebricks and the clay oven. As I documented its construction and the emerging wheat and tomato seedlings I conceived the idea for a new book. 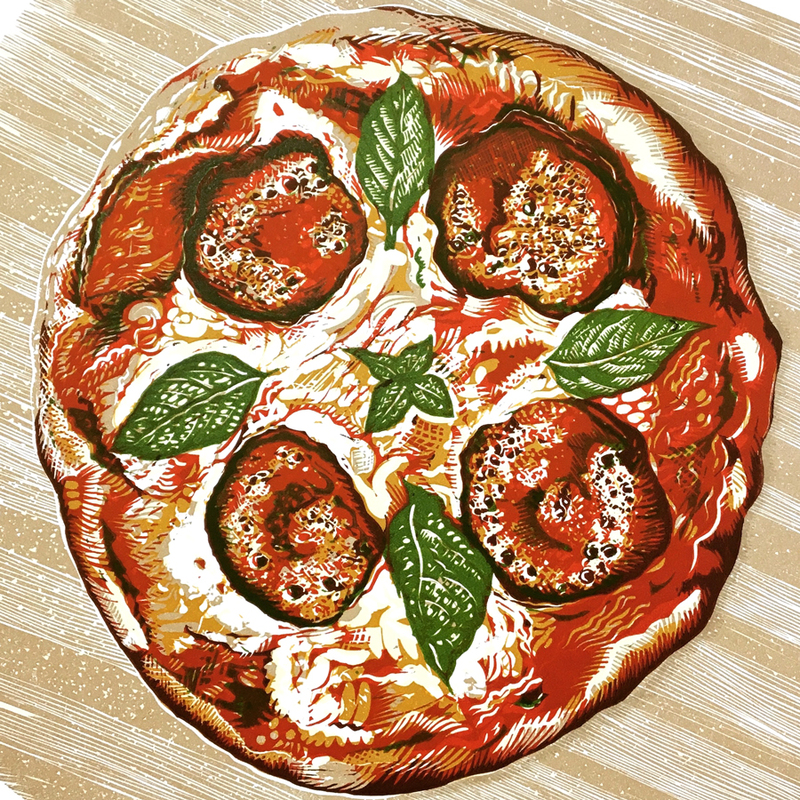 Pizza from Scratch: the story of how I literally grew a pizza on the farm in rural Iowa. Wholly embracing the farm-to-table movement, I grow hard red wheat and Amish Paste heirloom tomatoes; design and build an adobe clay wood-fired oven (scale plans included); give instructions on how to make the dough, tomato sauce and mozzarella cheese; fire up the oven, assemble the pizza and cook it, in less than three minutes. Following the success of my book Chili: a recipe this new book would also be a visual narrative in woodcuts and linocuts. 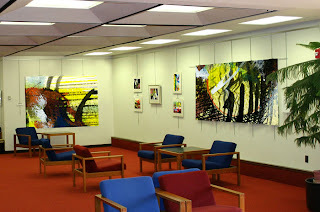 My first image was a series of woodcuts, that together formed a panel six feet long, the subject: weeds. In due course this was reduced to just one page, fifteen inches wide and I settled on a landscape format chiefly to accommodate the subsequent twenty-four inch wide print of burning weeds as a double-page spread. As a bookbinder, I approach book design with the book’s final structure in mind and the best construction is a sewn gathering of folded sheets with the grain direction of the paper running parallel with the spine. I wanted most of the images to “bleed off” the trimmed page. Consequently the sheet size had to allow for a substantial margin around the prints (to hold the paper in place while printing) and was thirty-four inches long by fifteen inches high. This required a cunning set-up on the Ostrander Seymour “Extra Heavy” iron hand press as its platen is only twenty by seventeen inches and demanded extra care when handling such a large sheet. Printing began in April 2017 and continued into June. While some images are just black and white, others are complex multi colour prints from three blocks that were cut and printed several times (reduction cutting). Printing fifty copies yielded an edition of forty books. All told I pulled 5,600 prints, not counting proofing and set up. The larger prints required double pulls and the more solid images were “hard pulls” that required an extension tube on the bar! With the sorting, folding, gathering and collating I was able to clear some bench space in the workshop as the books were consolidated into three small piles. The book is offered in two variant bindings a “regular “ case binding and a “deluxe” full leather binding. Both bindings involve sewing by hand and each is presented in cloth-covered drop back box with the title printed on the spine and lid. 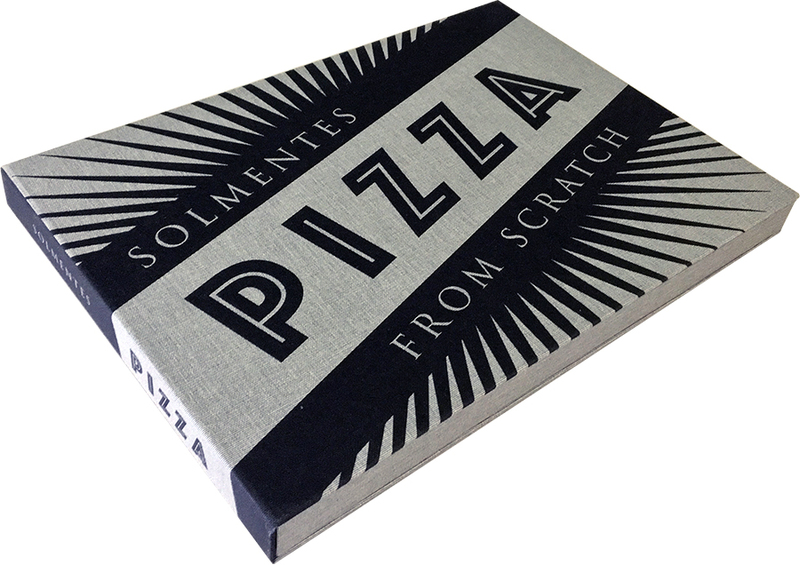 Inserted into an envelope on the inside of the lid is a large folded print of the scale drawings for the oven. 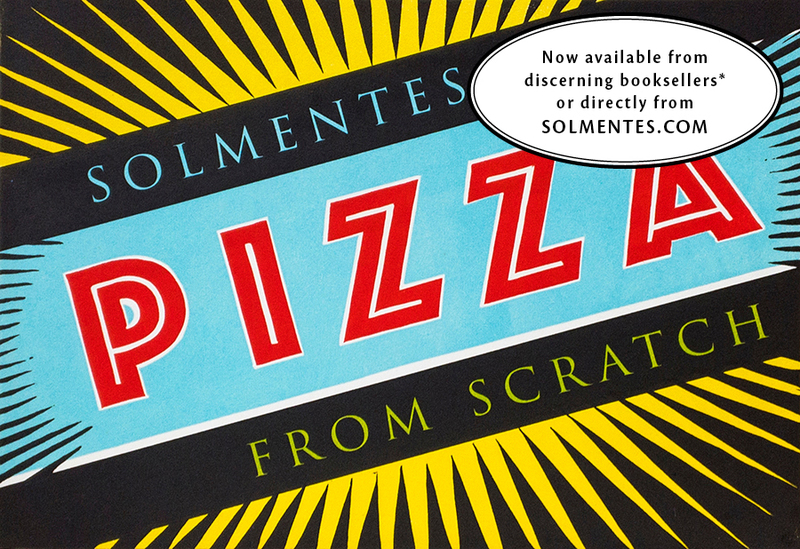 I am pleased to report that “regular” Pizzas have been shipped to collectors in the US and the UK and I am particularly proud that both the British Library and the Library of Congress now have their copies. The deluxe bindings are almost finished.